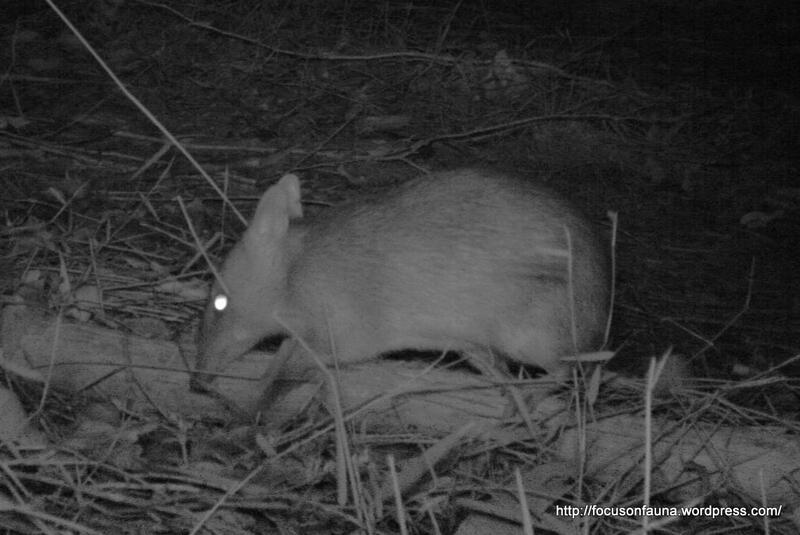 After an alarming spate of road-deaths of Long-nosed Bandicoots (Perameles nasuta) earlier this year (click on Look out for bandicoots! to see a previous post), the Murrindindi Shire Council Environment Officer issued an information package to landholders in the area to raise awareness of these native marsupials and to try to reduce clearing of bandicoot habitat. An article was also placed in local publications. 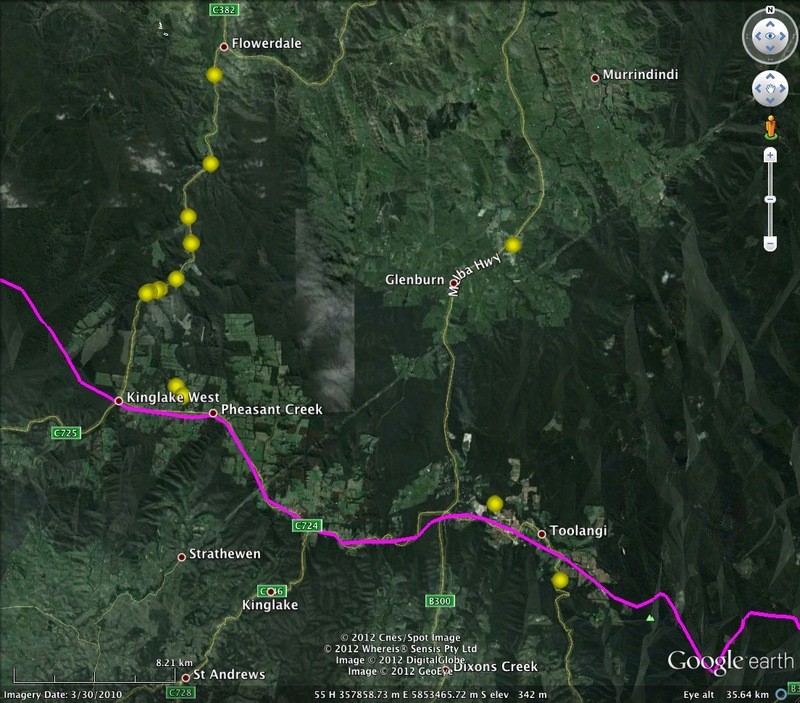 Yellow dots show locations of 15 Long-nosed Bandicoot records from 2011-12 (10 deceased, 5 living), within the UGLN’s Fire Recovery Project area. Since then, Chris Cobern, the Landcare Fire Recovery Coordinator, has received a number of reports of bandicoot sightings or evidence of their foraging – conical holes dug by the bandicoot’s forelegs and investigated by its long snout. It’s encouraging that these reports cover quite a wide area, from Flowerdale to Kinglake Ranges, Toolangi and Glenburn – click on map for a closer look. The bandicoots seem to have had a good breeding year. Their numbers can potentially build up rapidly since they have a very short gestation of about 12 days (one of the shortest gestations of any mammal), reach maturity at an early age, and can produce litters in quick succession. Our remote cameras have recorded this elusive animal at Flowerdale in the video clip shown below.